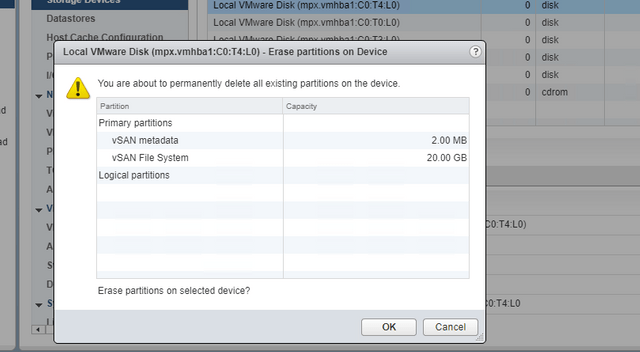 Welcome to new blog post and today we are going to look at vSAN disk group removal & addition. Here, I am using one ESXi host with two diskgroups each having one SSD & one HDD. As of now both the diskgroups are mounted & in healthy state. I am going to remove them via command line and add them back again. 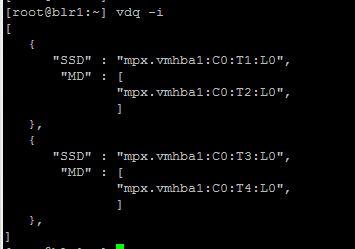 We can check that in webclient and two diskgroups are associated with blr1.vhabit.com but disks vSAN health status is not showing because of nested environment. In next steps , I am going to unmount the diskgroup and mount it back which would resolve this. Repeat unmount & remount for second diskgroup also and in webclient you can now the vsan disk health status is showing healthy.